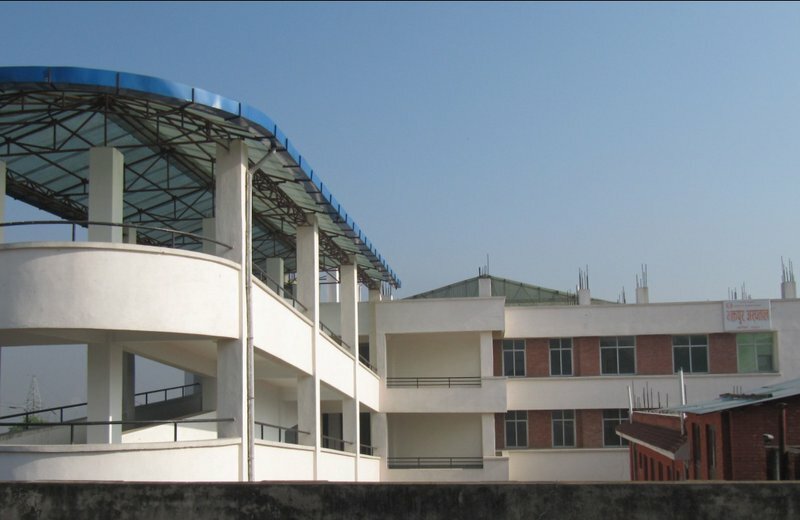 Shahid Dharmabhakta National transplant Center- SDNTC (Human Organ Transplant Center- HOTC) is situated at Dudhpati-17, Bhaktapur, a beautiful and a serene place at the distance of 12 kilometers from Kathmandu. It was established in 2012 by the Ministry of Health to strengthen and expand organ transplantation services in the country. The outdoor inauguration of the center was facilitated by the then Health Minister Rajendra Mahato, while the indoor service was instituted by the then Health Secretary Dr. Pravin Mishra. This center started its services merely with the out-patient and dialysis services, but within a few years of its establishment it has extended its services beyond dialysis and organ transplantation. It is under the directorship of Senior Kidney/Liver and pancreas transplant surgeon Dr. Pukar Chandra Shrestha since 2012. An estimated figure shows that the incidence of kidney failure in Nepal is 3,000. Likewise, 1,000 people develop liver failure annually. The estimated diabetic population who might be benefitted from pancreas transplantation in Nepal is 30% which is 10% of total population. Thus, increasing concern towards non- communicable diseases and organ failure resulted in the establishment of this center. Strengthen and expand organ transplantation services in the country. To adopt various measures to increase the rate of living and brain-dead organ donation and uplift gender equity in organ transplantation and undertake research related to human organ transplant to understand the state of kidney and other organ failure in Nepal. Organize free health camps across Nepal to screen any kind of diseases. Conduct educational activities to raise awareness regarding organ failure, organ transplantation and organ donation. To produce high level human resources by providing structured training in various aspects of services to expand the services across the country. With continuous hard work and world class results in transplantation, this center has become successful in leading the country in the field of organ donation and transplantation. In the Fiscal year 2016-17, this center created history by adding various milestones in the orbit of organ donation and transplantation. 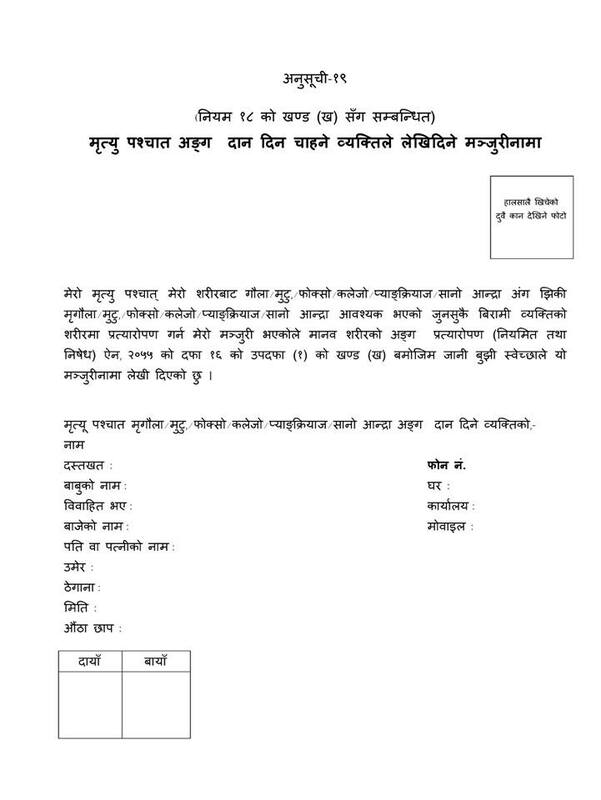 Organ Transplant Act 2072 and regulation 2073 was passed opening doors for cadaveric organ donation, pair- exchange programs and expansion of living donor pool. First liver transplant in the country was performed on December 7, 2016 after 3 days of approval of transplant regulations. First brain death donor kidney transplant was performed on May 11, 2017. Dialysis and kidney transplant were made totally free on 2016 and 2017 respectively. The center performed 132 kidney transplants within 1 year period of FY 2016-17. Performed first open heart surgery on November 17, 2016 in the preparation for heart and lung transplants in future.